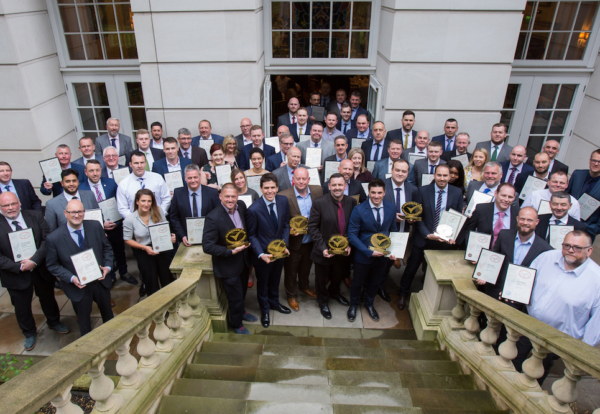 The country’s best performing construction sites have been confirmed at the Considerate Constructors Scheme’s 2018 National Site Awards. The National Site Awards recognise projects that have demonstrated the highest level of consideration in respect of the community, environment and workforce. The awards ceremonies welcomed over 3000 guests and took place at venues in Edinburgh, London and Manchester this month. The Scheme presented 840 National Site Awards, out of a total of around 8,000 eligible to win. In addition to the six Most Considerate Site Awards, there were 348 Bronze, 304 Silver and 159 Gold, as well as 23 Most Considerate Site Runners-Up. This year’s awards also introduced special recognition for Ultra Sites, following the official launch of Ultra Site registration earlier this year. Ultra Sites were recognised for their outstanding commitment in collaborating with their supply chains during the awards ceremonies. A separate awards ceremony will be held for top performing Ultra Sites later this year. Considerate Constructors Scheme Chief Executive Edward Hardy said: “Winning a Scheme National Site Award is a monumental achievement. “To receive this top level of industry recognition reflects how much effort and commitment award-winning sites have made to push their standards, and those of the industry, to even higher levels. To find out more about the 2018 National Site Awards, visit the Scheme’s online Construction Map here.